When asked what my favorite food is, I only vacillate between two choices. Good quality dark chocolate is up there. It’s not too sugary sweet and it’s so satisfying with just an ounce or two. But my winning choice is homemade bread with butter. Warm, chewy, soft, buttery, and smelling like home and love. That’s what good bread is. Which is why the husband and I have stopped buying sliced bread from the store. Thanks to the easiest bread recipe in the world, we have been able to enjoy fresh homemade bread pretty much whenever we want. My sister has adopted the recipe and makes it regularly for her family, too. This was going pretty well for us, and then I visited the Loveland Winter Farmers’ Market. They are fortunate to have Blue Oven Bakery as one of their vendors. Blue Oven Bakery is famous throughout Cincinnati for their amazing bread. One of our favorite restaurants serves only Blue Oven Bakery bread with their dishes. At the Hyde Park Farmers’ Market, the line can take over 30 minutes to get through to buy their bread. And buy it they do! That afternoon at the Loveland Market, I was advised to try Blue Oven’s English muffins. That was good advice. They couldn’t compare to what you buy at the grocery store. I had never in my life experienced such a soft, fluffy, buttery experience that I could call an English muffin. Despite being that amazing, I knew that we couldn’t afford to start a high end English muffin habit. Blue Oven deserves the prices they charge, but I can’t afford it on a long term basis. So, I decided to take this new craving into my own hands. I searched the interwebs and found a recipe I could start with from Allrecipes.com. 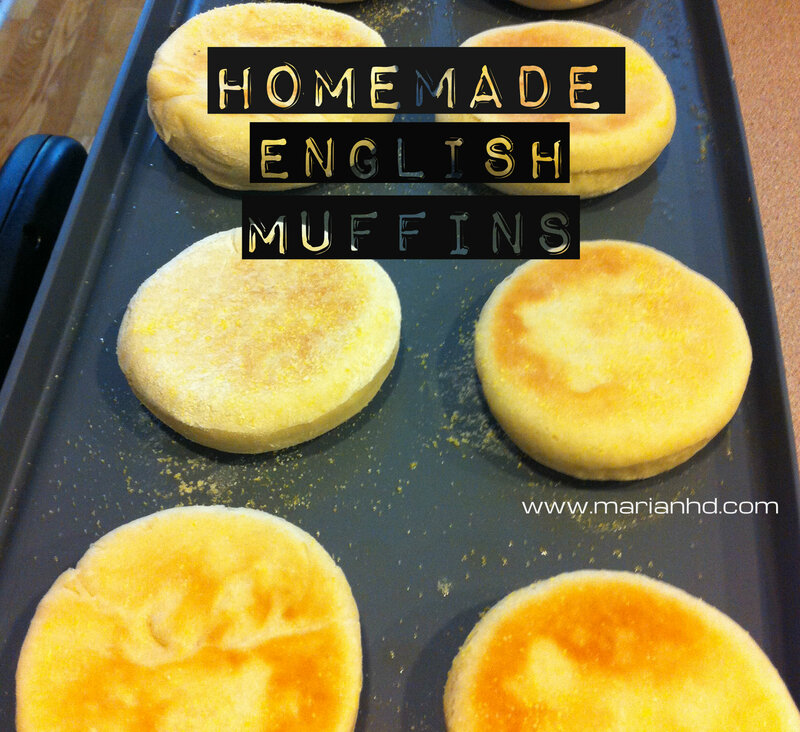 With a few tweaks, it produced delicious English muffins. The first easy change was swapping out shortening for butter. I don’t even have shortening in my kitchen. Butter tastes so much better and performs the same function for the bread. To keep the dairy content a little lower though, I use non-dairy milk instead of cow’s milk. Certainly my English muffins aren’t worthy of comparison to Blue Oven, but they are still leagues ahead of the grocery store bagged ones, and they satisfy the craving for a much more reasonable price! So when I can’t make it to Loveland or Hyde Park’s Farmers’ Markets, I can enjoy these. These were tested on the husband, the sister’s family, my brother-in-law, sister-in-law, plus the sister-in-law posse. And they passed inspection. 1. 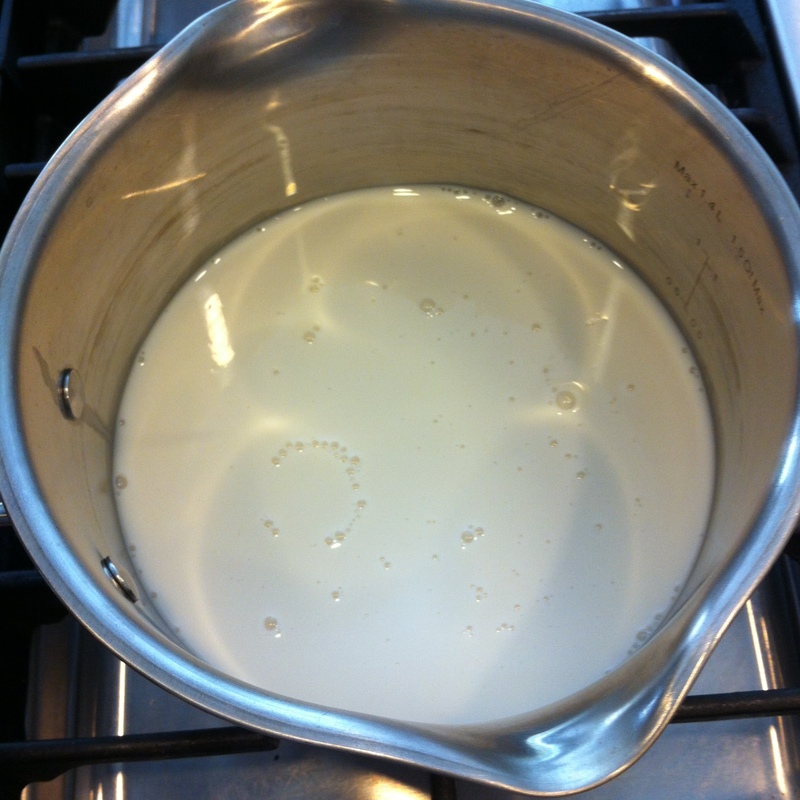 Warm the almond milk in a small saucepan. Once warm, remove from heat and stir in the sugar until it’s dissolved. Let it cool to lukewarm while you work on the yeast. 2. In a small bowl, dissolve the yeast into the warm water and let stand for 10 minutes to proof. 3. 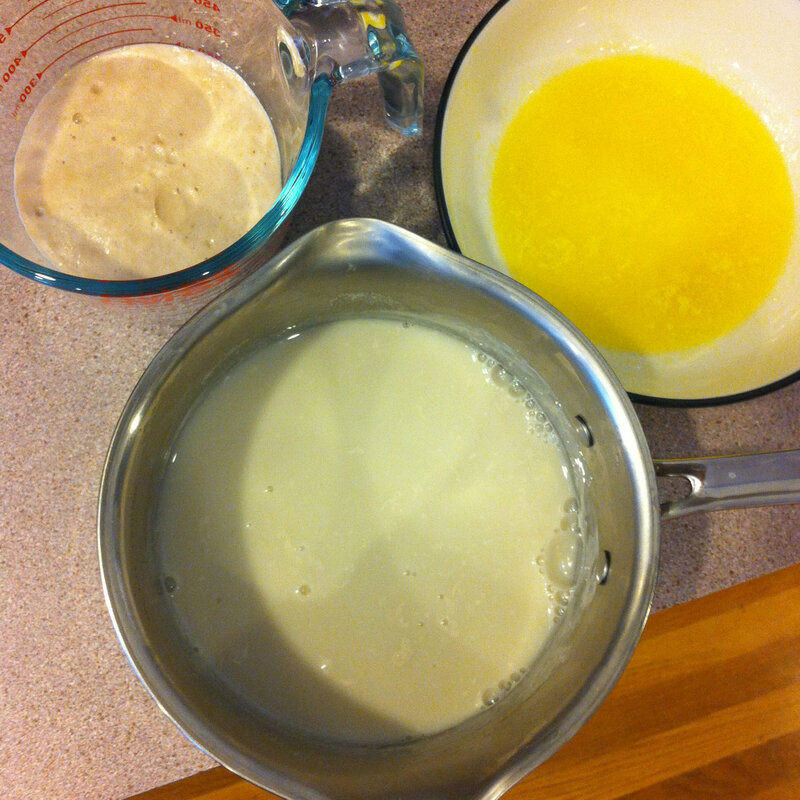 In a large bowl, mix together the milk, yeast mixture, melted butter, and 3 cups of flour. A Kitchen Aid mixer with a dough hook is perfect for this. Beat until the dough is smooth. 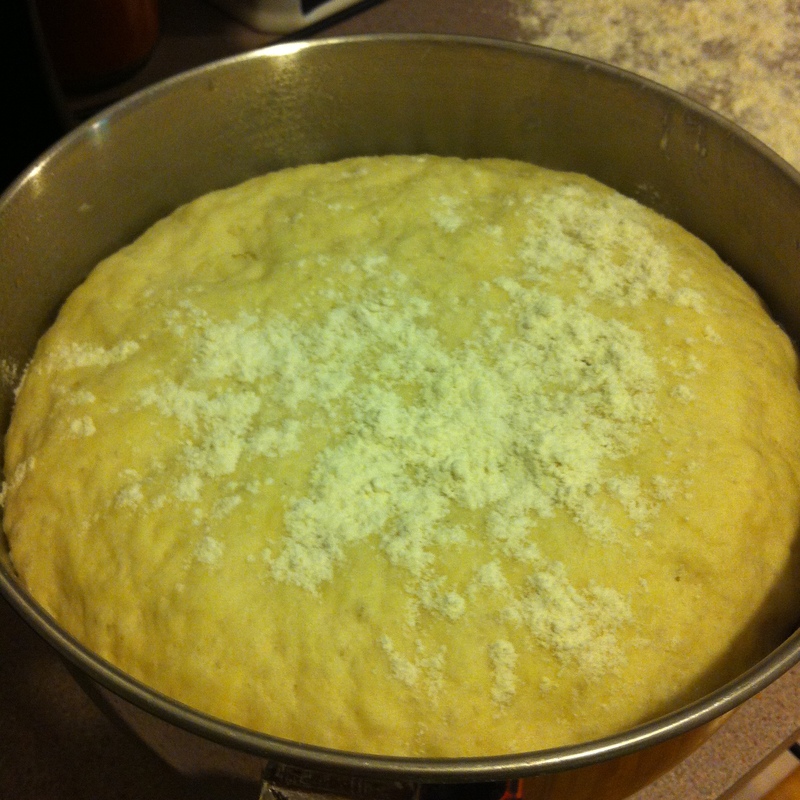 Then add the salt and enough of the rest of the flour to form a soft dough. Knead with the mixer for 5 minutes, or remove from the mixer and knead by hand for 5 minutes on a floured surface. Place in a greased bowl, cover, and let rise for 1 1/2-2 hours until the dough is doubled. 3. When doubled, punch the dough down. Transfer to a floured surface and roll out to about 1/2 inch thick. Cut out rounds using a large biscuit cutter, a drinking glass, or a clean and empty tuna can. 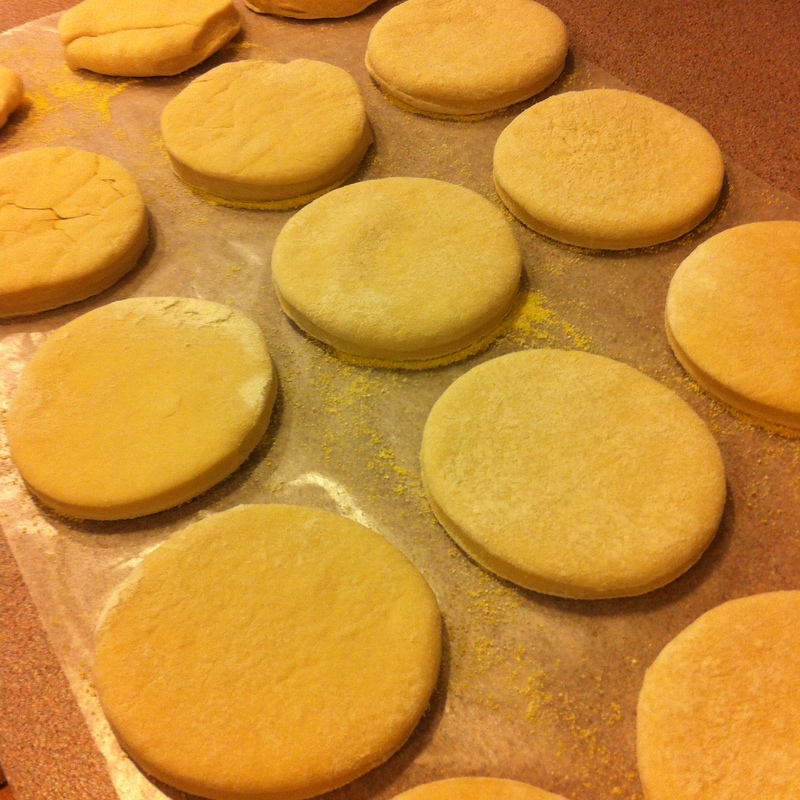 Place the cut English muffins on a sheet of waxed paper sprinkled with corn meal. Sprinkle more cornmeal on top, and allow the muffins to rise for 30 minutes. 4. Grease and heat a griddle to medium heat. I used my electric griddle heated to 300 degrees. Cook muffins 10 minutes on each side. Enjoy the amazing fresh bread smell that will take over the kitchen. Try to wait until they are mostly cooled to dive in. May 8, 2014 update: I loved these so much I made a second batch the day I ate the last of the first batch. I’ve had at least one a day since making the first batch. I sense an addiction coming on…. The second time around, I changed things up a little to make my version of honey whole wheat English muffins. The instructions stayed the same, using a 2:1 proportion of white to wheat flours at both steps when flour is added. These turned out great and are also delicious with butter and jam. Next up: cinnamon raisin English muffins. Yum!